I started my career for my dad’s music Store Brass Bell at the tender age of three, when I starred in a Brass Bell TV ad for Brass Bell. At fourteen, my Dad gave me my first real job (I am not sure cleaning the bathrooms when I was 7 years old really counts). I came to the store eagerly, and Dad took me to a door in the back of the store. He said ”Your job will be to file this’” and grandly opened the door on a closet awash in piles of unorganized invoices. I actually enjoyed that job quite a bit. My natural shyness and love of organizing things led to me working as the administrative backbone of the company. After a little too much calculus while pursuing a degree to teach math and on the recommendation of our accountant, I pursued a degree in business administration with an emphasis on finance. My instrument of choice, the french horn, did not come naturally to me. In fact I know I was quite bad, but I just couldn't tell my dad that I wanted to quit. My passion for playing horn and working hard to get better was sparked when the cute trumpet player behind me commented to his buddy after I filled in for our missing principal horn player that it was the best he had ever heard that solo. So thank you Bryan for being sick that day. Asked by an interviewee about what I love about playing my french horn, my answer was that I have a beautiful image in my head of what I would like my music to sound like and on the rare occasion that I actually play like that, I feel so perfectly connected that there truly are no words to really describe the feeling (all musicians know them as the “shiver moments”). That is what I continue to play for, those precious glimpses. During college I had the opportunity to study with Barry Benjamin on the horn and play with the Symphonic Band for the duration. After graduating and putting my horn down for a year I REALLY missed it. That reminded me that my work at Brass Bell has a bigger meaning than just any job. I have always loved music and the many benefits it has for people and the community. I myself have received valuable mentorship from other music store owners and professionals. I enjoy sharing the knowledge I have accumulated over my career. My first NAMM Fly-In in 2014 has kindled that love into a passion for connecting with people through music education advocacy and giving back to the community, fellow store owners, and my staff. I push myself and my staff to be the best version of themselves and achieve success in their pursuits. At home, I enjoy spending time relaxing with my husband, Zachary, my three kitties, Pip, Braveheart and D’Artagnan, and doing anything that gets me outside in the sun and warmth of Summer, like gardening and, yes, even mowing the lawn. Our love at Brass Bell is to help our customers find the right instrument, accessories and supplies to optimize their music experience! My name is Brendan, and I'm the head of the Combo Department here at Brass Bell. I've been active member of the Milwaukee music scene for my entire life, and Brass Bell has been there since the beginning - from buying my first electric guitar to taking lessons (with the great Gary Williams) through high school. I graduated from Lawrence University in 2016 with a Bachelor of Music in Contemporary Improvisation, a self-designed major, where I studied with Milwaukee's own guitar guru Steve Peplin, and Matt Turner, an amazing improvising cellist and educator. Though the guitar is my true love and primary instrument, I auditioned for colleges as a voice major - I also play bass guitar, keyboards, ukulele, and recently, drums, and pedal keyboard, like bass pedals on an organ. Nick splits his time between working full time at Brass Bell and being a student in UW-Milwaukee's School of Engineering and Math Sciences. Using skills as a Computer Science Major, he runs our website and internal network. Along with his knack for technology, he is also an avid guitar player and has been for over 10 years! This makes him a valued member of our Combo Department. He also happens to be Alan Gaulke's (Brass Bell's founder) eldest grandson. 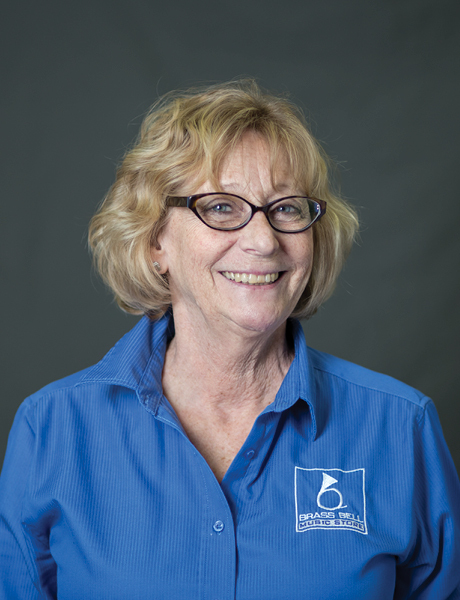 Veronica has been working at Brass Bell as a Print specialist and a Musical Gifts buyer since September of 2013. As Musical Gifts buyer, she loves finding new and exciting products to keep in the store (which is perfect, since outside of Brass Bell she is very much an "impulse shopper"). 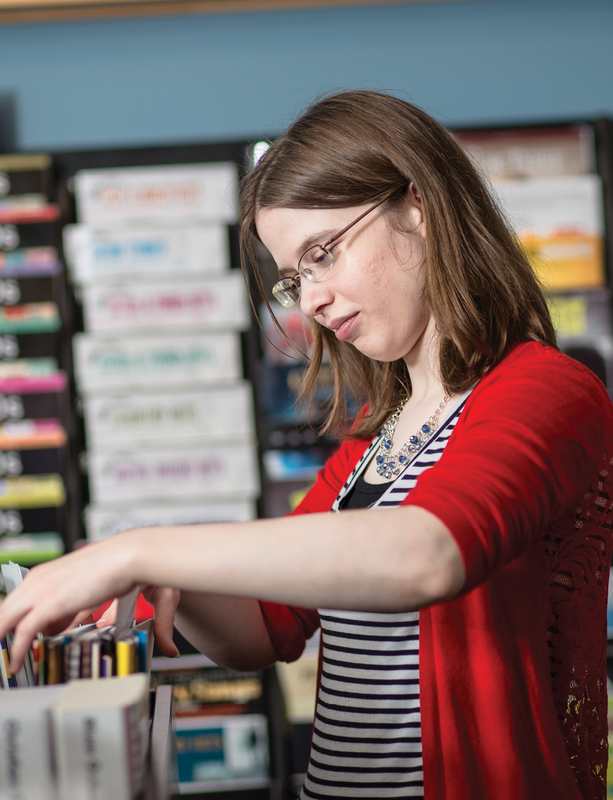 As a Print specialist, she enjoys doing detective work to find the perfect piece of sheet music you may be looking for. Veronica graduated from Cardinal Stritch University in 2013 with a Bachelor of Music degree, and her emphasis was music composition. Over the course of her college career, she has presented over 20 new compositions for a variety of instruments including piano, cello, clarinet, flute, and voice. Veronica has also been singing in choral ensembles for over 10 years, and is currently in her third season singing soprano with Bel Canto Chorus. 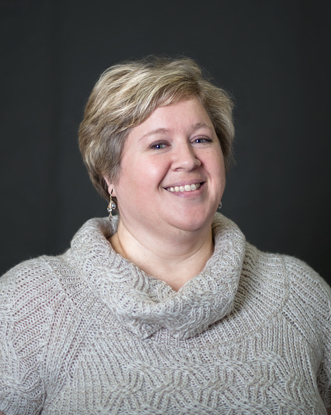 When she is not working at the store or making beautiful music with Bel Canto, Veronica loves watching football and baseball (she is a very loyal Green Bay Packers and Milwaukee Brewers fan), cooking, gardening, and making jewelry. Andrew holds a Bachelor’s of Music Education degree from UW-Stevens Point and a Masters degree in French Horn Performance from UW-Milwaukee. Andrew was also a Trumpet and Trombone Bell Maker at Getzen Musical Instruments in Elkhorn, WI and is a freelance musician and teacher, holding the position of Adjunct Professor of Applied French Horn at Maranatha Baptist University of Watertown, WI. Austin grew up in Yorba Linda, CA and moved to Milwaukee to attend Wisconsin Lutheran College. During his college years, he developed a love for various musical styles. He participated in orchestras, chamber ensembles, choral groups, a percussion ensemble, and a mariachi band. His favorite project during college was producing and directing performances of a short opera intermezzo titled The Perfect Wife, an English retelling of La Serva Padrona. Austin graduated from WLC in 2017 with a B.A. in Music and Mathematics, with emphases in viola performance and music theory/composition. He is able to combine his love for music and his abilities in math to serve the mission of Brass Bell. Austin's focus at Brass Bell is school services. Apart from his musical and academic interests, Austin pursues tennis, frisbee, travel, and hiking. He plans to return to southern California to hike Mt. Whitney in the summer of 2017. 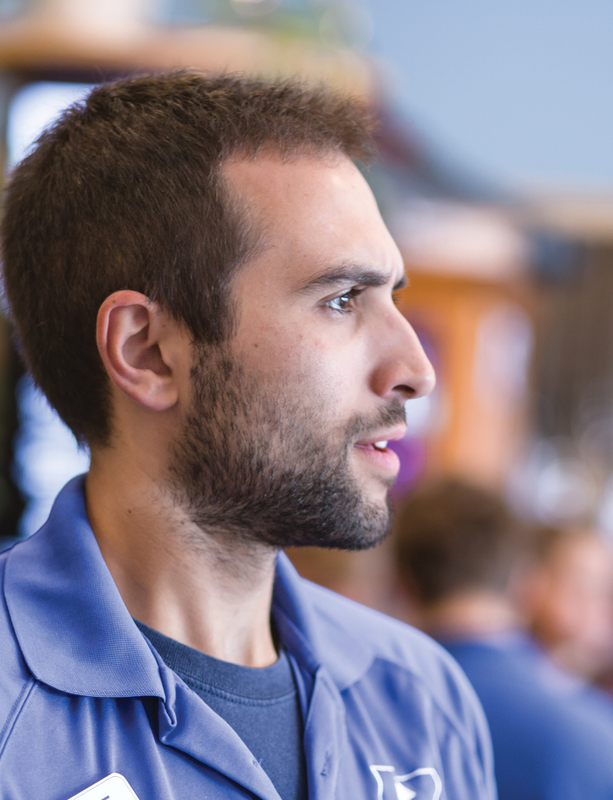 Joe is a member of our combo department and IT/Support team. He is a drummer/ percussionist who frequently plays throughout Milwaukee. Joe graduated from UW-Milwaukee with a Bachelors of Science in Architecture, and worked with the City of Milwaukee's Home Gr/Own Organization. Apart from music, Joes' other interests include (but are not limited to) biking, gaming, and various artistic hobbies. 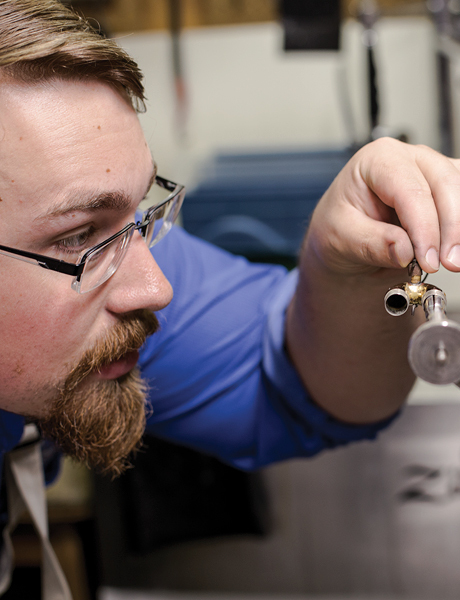 Zach is a a part of our combo department and education department here at Brass Bell. He has been playing guitar for half of his life and picked up other instruments such as drums, bass, piano, and most recently harp and recorder. After moving to Milwaukee from Janesville in 2016, he immediately started working for the Brass Bell and has been loving it ever since. His musical endeavors take up most of his time but he also enjoys long-boarding around the city, attending social gatherings, and intense culinary adventures. Zach's greatest achievement is the guarantee of a superbly crisp high five. Bill joins the Brass Bell team after serving 17+ years as Director of Music Ministries for Hales Corners Lutheran Church in suburban Milwaukee. Prior to coming to the greater Milwaukee area, Bill was Print Music Manager for Ward-Brodt Music Co in Madison, and Choral Music Manager for Malecki Music in Grand Rapids, MI and Long Beach CA..He has spent his entire career making music, and serving the needs of the music-making community. Bill’s undergrad studies were in Music Education at the University of Wisconsin - Madison, where he was a member of the UW Marching Band and the Wisconsin Singers. He later served as Associate Director for the Singers. Bill has a real love and passion for Musical Theatre, and has served as Music Director/Conductor for numerous theatres in WI and beyond, including Skylight Music Theater, Sunset Playhouse, First Stage, Children’s Theatre of Madison and The Marriott Theatre, Lincolnshire. Bill’s wife Rhonda Rae is a professional actress, performing with numerous theatres around the country. His son Adam is a trombone player residing in Denver, and daughter Emily is a flute player here in Milwaukee. 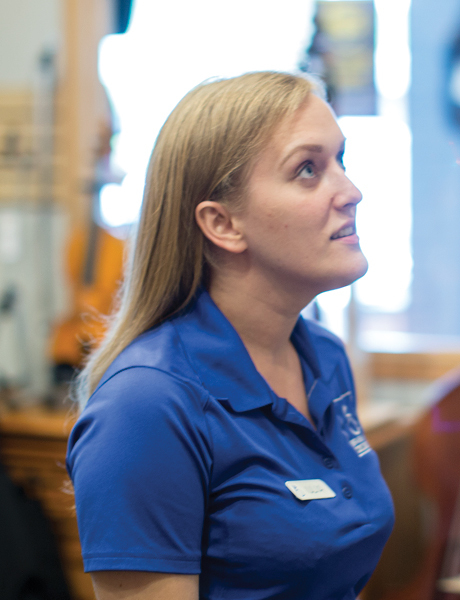 "An Illinois native, Lizzy ventured up to Wisconsin in 2015 for an internship at Birch Creek Music Performance Center in Door County, and never quite made it all the way back. Lizzy is a graduate of Bradley University with a degree in Music Business, emphasizing in bassoon and voice. 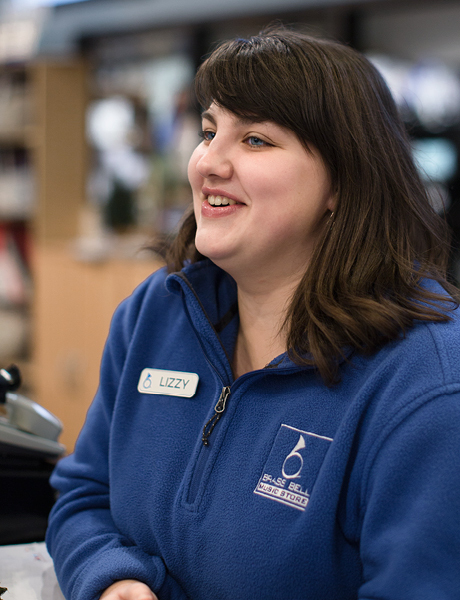 Aside from the amazing community and staff, Lizzy's favorite part of working at Brass Bell is that she learns something new and exciting about the musical world each time she enters the store. When she is not at Brass Bell, Lizzy can be found running along Lake Michigan, baking festive treats, or playing with the Milwaukee Manatees underwater hockey team". Jack Koshkin is 16 years old. He has been working at Brass Bell since December of 2017. He was very excited to not only be given his first job, but a job in the field of music! 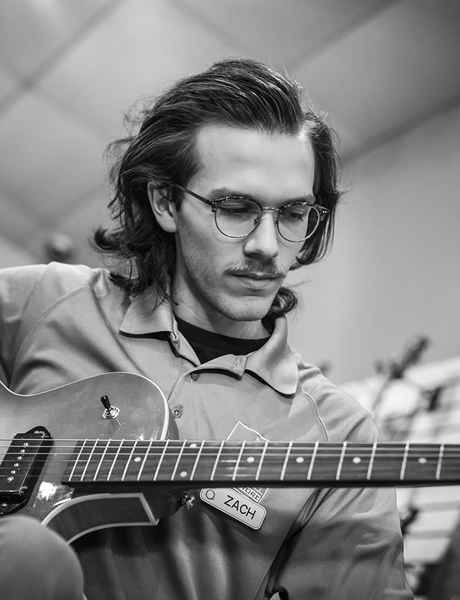 Jack has very much enjoyed getting to know and work with his fellow employees; he really appreciates being around so many other music-minded people. Jack began playing piano at the age of 9. 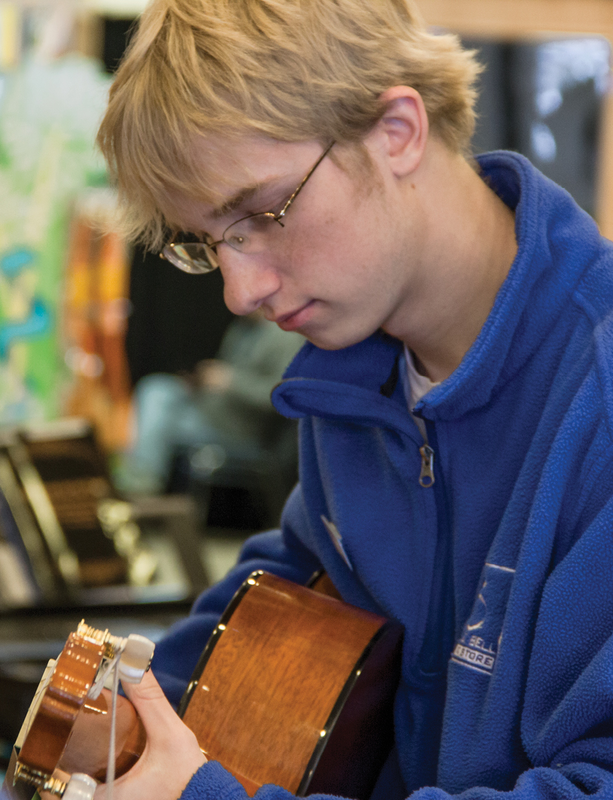 At age 11, he took a break and began taking guitar lessons, but ended up also rekindling his love for piano. He has since learned to play on keyboards and guitars of all types, drums, and dabbles in bass, banjo, mandolin, harmonica, and whatever else he can get his hands on. He has even recently began taking lessons on pipe organ with a local teacher! Jack has also enjoyed playing with a few bands as well as experimenting with recording one-man covers. Most recently he formed his own band, Fightin' Bob, a progressive rock band that was named a semifinalist in a statewide youth band competition at Summerfest. They continue to collaborate in writing original music as well as arranging progressive covers, which you can check out on YouTube, here. 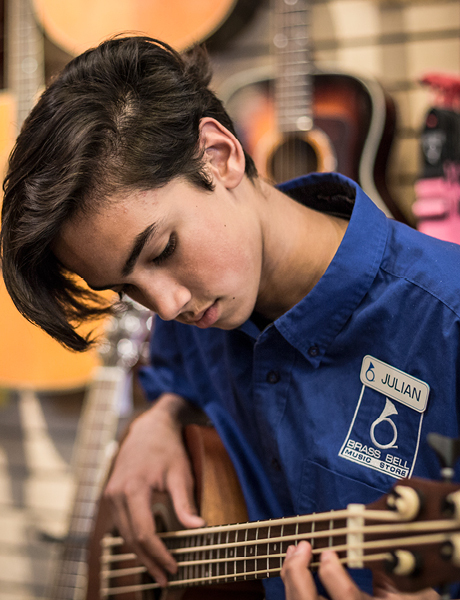 Jack looks forward to continuing to expand his knowledge of instruments and music as he continues his employment at Brass Bell Music Store! Born in Ukraine, Iuliia has been playing the violin since she was 8. After graduating from the Lviv National Music Academy where she received her Bachelor and Master degrees, Iuliia performed with the INSO-Lviv International Symphony Orchestra. She played at numerous festivals in Switzerland, France, Portugal, Italy, Germany, Spain and Poland. Five years ago, Iuliia decided to pursue her musical training in the United States. She received an artist diploma in violin performance from the University of Tennessee in Knoxville with Prof. Mark Zelmanovich in 2014. In 2015 and 2016 Iuliia played in master classes with Rachel Barton Pine, Mimi Zweig and Clara-Jumi Kang at UW-Milwaukee. She was a concertmaster of the UW-Milwaukee Symphony Orchestra. Iuliia holds a masters degree in Chamber Music Performance from UW-Milwaukee, where she studied under Dr. Bernard Zinck. As a teaching assistant, she was teaching violin to undergrad students of the UWM violin studio. As a violin instructor, Iuliia used different teaching methods and studies such as Suzuki, Franco-Belgium School, Russian School (Yankelevich) and Czech School (Ševčík and Schradieck). 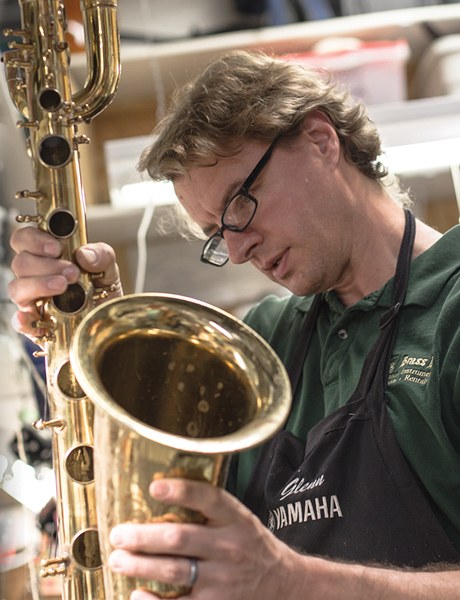 Julian works at Brass Bell Music Store as a product specialist. He has been playing drums for about eight years, as well as trombone for about four. Julian plays drums in a hard rock band called Lokke, and both trombone and drums in the conservatory honors jazz program. He attends Whitefish Bay high school and plays in the Jazz Ensemble there. Furthermore, he enjoys listening to music, creating it, and hanging outside. 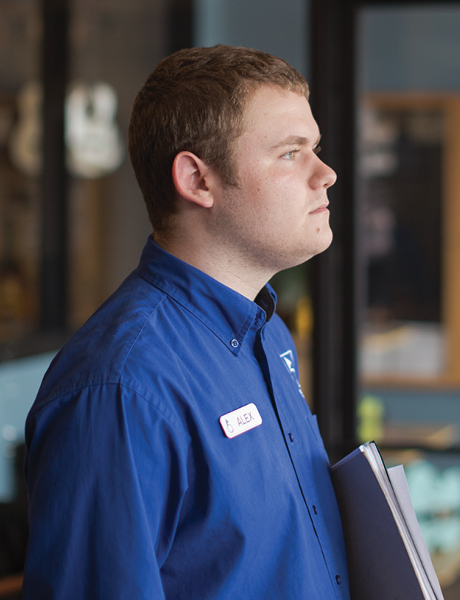 Alex is a product specialist at Brass Bell and a student at Brookfield East High School. He has been a serious violinist for eight years. Alex has participated in the local Milwaukee Youth Symphony Orchestra for seven years, and is in the Senior Symphony Orchestra and Chamber Orhcestra ensembles, through which he will be playing in Ireland. He has also been a part of various string ensembles, such the Rosewood String Quartet and Dream City Strings with whom he plays at weddings and other events. Alex also has teaching experience, and currently has five violin students. Outside of school and performance, Alex enjoys video games, reading books, and composing his own music. I first started my relationship with Brass Bell in 2008 when I was taking the Green Line bus to Bayshore. Being a horn player, I saw the French horn logo on the outside sign and knew I had to stop in! In 2014, I found myself working here! After a variety of roles (Event Coordinator, School Services, Store Manager), I am now here part-time to help with administrative projects. I grew up in California and Arkansas, and came to Wisconsin over 10 years ago for school. I have a Bachelor of Music in French Horn Performance degree from University of Central Arkansas, and a Master of Music in French Horn Performance degree from UW-Milwaukee. 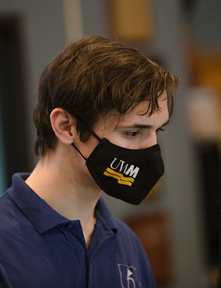 I am currently back at UWM to pursue a Master of Science in Management - Accounting degree with the hopes of working with performing artists and small businesses. I am a professional freelancer, private lesson teacher, and a member of Five's Company Woodwind Quintet and North Point Brass. Once upon a time I dabbled in cello, and am proud to say I have met my hero, Yo-Yo Ma, a few times. My husband and I even brewed 30 gallons of beer for one of his parties! When not playing the horn or studying accounting, I like to cook, travel, care for exotic plants and animals, and volunteer at the Mitchell Domes. Repairing instruments since ‘99. Mark specializes in stringed instruments and drums. He is also proficient with brass and woodwind instruments, guitars, electronics/amplifiers, and keyboards. Mark is a drummer, vocalist, guitarist and bass guitarist. Graduate of the band instrument repair program at MSC-ST in 2003 in Red Wing, MN. She is also a NAPBIRT member. Specializes in brass and woodwind repairs. Amanda is a trumpet player and vocalist who also plays all brass, woodwind, and piano. Glenn started renting his first saxophone and took lessons at Brass Bell with Julie Wood back in the early 80’s. He repairs woodwinds and brass instruments after spending 12 years working in the architectural industry on large hospitals. 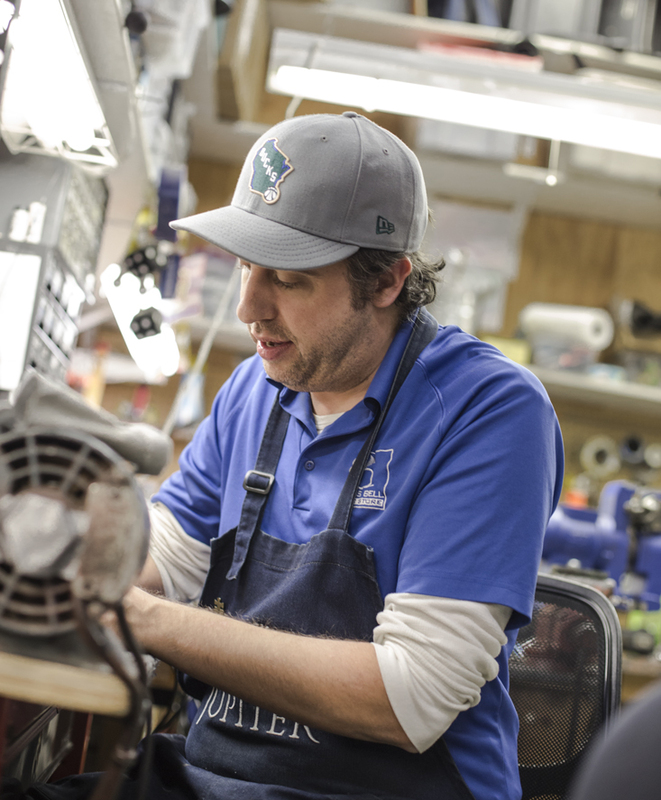 Graduate of Band Instrument Repair and Guitar Construction/Repair at MSC-SE (Red Wing) and Graduate of Amplifier Construct at Roberto Venn Luthiery in Phoenix, AZ. 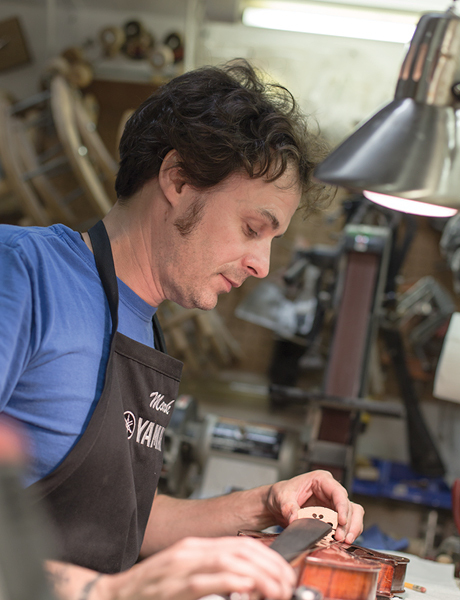 Nick is a NAPBIRT member who specializes in woodwind repairs, builds guitar effects units, and plays guitar, brass, and woodwind instruments. I am a wannabe musician who loves classical, jazz, big band, swing, and some rock (in no particular order). I may be the senior-most associate at Brass Bell, but I can say something that I don’t think anyone else here can: I heard both Jimi Hendrix and Janis Joplin live in concert. Bucket list of instruments is full. Bag Pipes anyone?